"You'll never see the women of the Bible in quite the same way after reading Tikva Frymer-Kensky's excellent new book. In her able hands, these women emerge from the ancient texts with new strength and vigor. 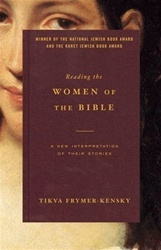 Frymer-Kensky is a dazzling thinker who presents her ideas with unusual energy and clarity."